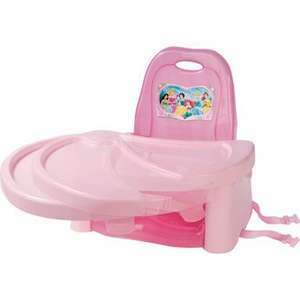 The Disney Princess Booster Seat makes feeding time fun! The unique swing-away tray releases and adjusts with one hand making it easier for a parent to get their child in and out of the seat. I'd say disney princess is a little old for babies. I'll go for the winnie the pooh. thanks for sharing.